Science fiction has been a beloved book and movie genre because of the limitless imagination and creative energy that centers on the subject. A particular fascination lies in ‘what if…?’ questions about the past, reimagining how an alternative history could result in a different future to the one we live in. Steampunk represents a subculture that reimagined the history of the Industrial Revolution during Victorian era England and embodies the alternative future that resulted from this creative conceptualization. Steampunk is the lovechild of the Victorian era, the Wild West, and steam powered science fiction. The subculture takes place in an alternate reality during a Victorian era that never ended and developed into a new form of modernity called ‘retrofuture’ (a future imagined from a 1800’s perspective) combined with the adventurous, gun slinging character of the American Wild West. In other words: Steampunk is set in a past that never happened and a future that will never be. If that premise doesn’t sound absolutely amazing, nothing else will. Originally, the idea behind steampunk developed in the 1900’s as part of science fiction literature, distinguishing itself from the computer-loving cyberpunks of the genre by focusing on clockwork mechanisms and nineteenth century machinery and style. The reverence for past history within the subculture focuses on the idea of a universe in which the power of steam was never eclipsed by petroleum energy, resulting in an entirely alternative future to the one we experience today (which aligns more with the cyberpunk image of the future). Steampunk has developed into a global phenomenon, made possible due to the openness and overall welcoming nature of this particular brand of subcultural science fiction. Steampunk appreciation is not limited to any age, race, gender, or class, ensuring a large variety of participants with diverse backgrounds, and the increase in ideas about steampunk makes for an even more vibrant and full-bodied subculture. The Steampunk subculture is known for romanticizing the style of the Victorian era and combining the sophisticated and elegant aesthetic with uncovered and visible machinery, known as open-faced clockwork. The combination of corsets, top hats, goggles, and open-faced gears, hydraulics, and engines creates the hyper-visual identifier of the subculture. Jewel tones, shades of black and brown, leather, as well as copper and brass metallic elements are most popular in the steampunk aesthetic, especially for military style dress, or decorative pieces. Much of the steampunk fashion has influenced other subcultures like burlesque and goth groups, specifically creating overlapping fashion within the different groups (Cherry & Mellins 2011, Ferguson 2011). On top of this, the mixture of machines and clothing also make reference to elements of automata (think basic, early examples of androids or cyborgs) that were popular in 1800’s, which combined machinery with organic life and additionally allow for the creation of designs where machinery is used to enhance human physiology. 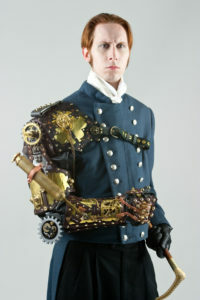 An additional visual element in the steampunk subculture is the incorporation of weapons as accessories. Because science fiction is only limited by imagination, steampunks have incorporated facets of the gun-slinging American Wild West as a maturation of the weapons used in the Victorian era, and evolved different weaponry designs as part of their outfits. The designs range from pistols to ray guns, shrink rays to whips, and potentially include weapons hidden in walking canes, parasols, and fans. Most steampunks create their own weapons out of whatever materials they have available depending on their means and resources, which further demonstrates the inclusive nature of the steampunk subculture. Another element of steampunk that appeals to participants is the emphasis on general do-it-yourself (DIY) within the subculture, referencing the craftsmanship ethos of the Victorian era. Particularly because the twenty first century is centered around streamlined factory production, and the products all look the same, the allure of unique and personalized steampunk style is more powerful (see James H. Carrott’s TEDtalk about this topic here). The appreciation of older mechanic inventions like typewriters, grandfather clocks, and airships defy and critique the current obsession with technology in modern society, demonstrating a desire for more individualized technology. Though phone cases enable people to customize their device, there is no inherent difference in the actual physical product, and therefore the devices have no inherently perceivable character. This reaction to the similarity of most technology suggests that people want to be able to have more control over how they incorporate their technology into their personal style and therefore affects their identity expression. This element of identity expression ties in well with the overlap between the DIY ethos of riot grrrls and other punk groups that value the independent creation of something related to a subculture that facilitates the identity expression of the participants, but also decreases the emphasis of participants having to buy something prepackaged. This reduction in consumerist materialism allows for more creative involvement within a subculture and helps tie personal identity more closely to the established group identity associated with the subculture. The DIY emphasis in steampunk is also important because it not only addresses the homogenization of technology in the twenty first century, it also protests against the increasing omnipotence of technology (Danahey, 2016). Steampunks are aware of the all-consuming nature of technology in the current era, how inescapable technology has become, and how the increase in technology removes elements of humanity from daily interactions (self checkouts, fast food order screens, etc.). Steampunks have to merge their own personal use of technology with the aesthetic elements of the steampunk subculture, but must also reconcile the differences in technological use within their own lives. 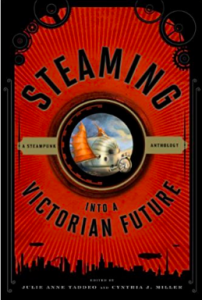 Analyzing themes within Steampunk allows for better understanding of the sociological significance of the subculture. Though many themes are applicable to Steampunk, the most relevant ones are commodification, DIY, and globalization. Commodification plays a major role in diluting the significance of Steampunk as a subculture. 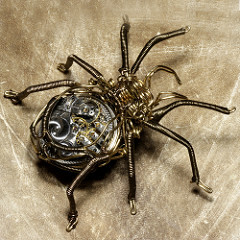 As more people become involved with the subculture, there are increasing opportunities to make money selling items related to Steampunk, such as ‘how-to’ books for creating accessories in the distinct Steampunk aesthetic, or even finished products ranging from decoration to furniture to clothes. Because people can simply purchase items related to the subculture instead of researching and actually learning about it, the significance and original motivation behind Steampunk is undermined, and ultimately loses significance within the subculture overall. The Do-It-Yourself mindset is a major part of Steampunk, and ties in with the appreciation for craftsmanship. Similarly to how Punks engage in DIY to resist the commodification and commercialization of their subculture, steampunks associate DIY work with resourcefulness and originality. Particularly because DIY emphasizes personality and creativity, it contrasts with the increased presence of monotonous technology, where everything is specifically designed to be the same. By focussing on creation and appreciation of handmade products, Steampunk encourages critical thought of modern society and the trend toward increased technological use in every day life. The international spread of the Steampunk aesthetic and subculture is largely due to globalization via the internet. Though there is not exact origin for the subculture, the internet allows for participants to organize meetings and events more effectively, through which participants can establish stronger connections with one another. Strong communities validate the enthusiasm and participation in the subculture, and provide a safe environment for participants to engage in subcultural activities without fearing negative social commentary. 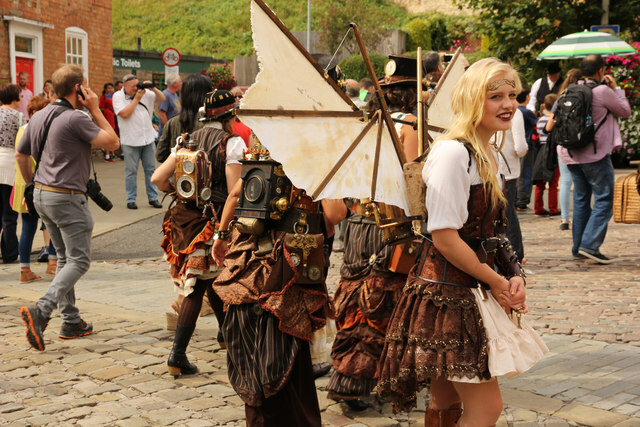 Additionally, globalization allows for interesting cultural combinations as steampunks from around the globe mix their interpretations of the subculture to design incredible new creations, which further inspires other participants to engage in creative combinations as well. Vintage Tomorrows (Samuel Goldwyn Films, 2015) is a good introduction to the Steampunk genre and what the subculture actually includes is. The documentary also includes interviews with participants to give a more in depth understanding of the individual experiences as part of the subculture. Because so many people are fascinated with elements of steampunk, there are tons of movies that include some elements of the subculture. An adventure story combining space travel in traditional wooden boats, mechanic astrological maps, cyborgs, and pirates provides insight into a completely alternate steampunk universe. A war hero must protect the president of the United States against a mad evil-genius engineer on a journey through the Midwest. A young boy lives in the main clock of a central train station alongside an automaton left to him by his deceased father. The boy goes on a journey to making the automata work again. A romantic adventure story of a young cursed protagonist searching for a sorcerer that can remove the spell that cursed her. Primary steampunk feature is the actual mechanical moving castle that the movie is named after. Technology used to maintain a floating island in the sky could also be used as a weapon of mass destruction and the ethical implications of making such power more easily available to people. Steam power is equated to a volatile hyper dangerous material, and the film discusses the options for development (using steam as a power source for machines) or for destruction (using steam powered objects as weapons). A scientist imbues nine puppets with sparks of his life following an apocalypse instigated by machines turning against humanity. The puppets must survive the post-apocalypse with monster machines and determine what caused machines to turn against humanity. Orphaned siblings must resort to inventive solutions to foil their uncle’s plans to murder them under his custody in order to inherit their fortune. Heralded as the pre-star wars/space odyssey, first full length science fiction film, the movie discusses the role of technology intersected with class and the dynamics between the different relationships. Of course, there are many more movies that address steampunk, and or include elements of the steampunk subculture, so I encourage people that are interested to take a look online and discover more about the culture! Bowser, Rachel A. and Brian Croxall. 2016. 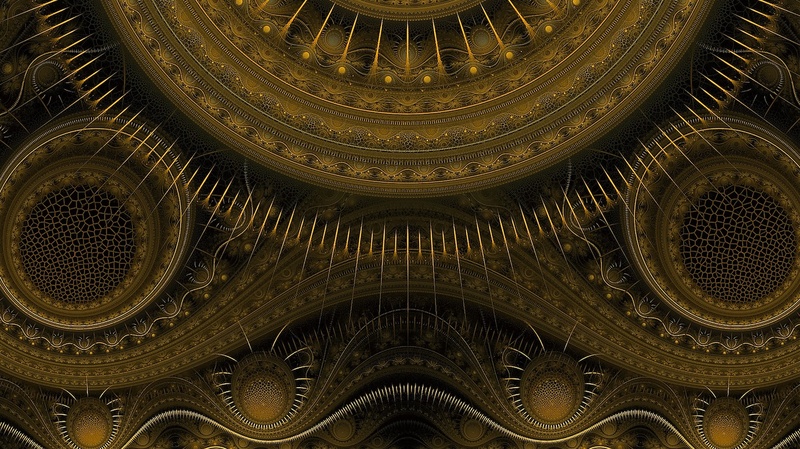 Like Clockwork: Steampunk Pasts, Presents, and Futures. Minnesota, MN: University of Minnesota Press. 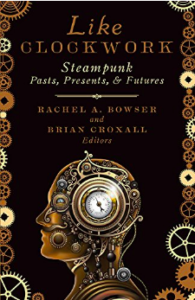 ‘Like Clockwork’ is a more analytical take on the steampunk subculture, and addresses how factors like race affect the understanding of steampunk. VanderMeer, Jeff, and S. J. Chambers. 2011. 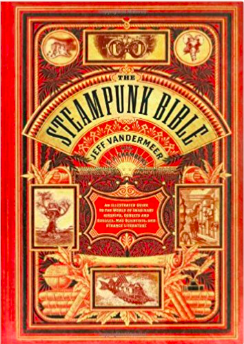 The Steampunk Bible: An Illustrated Guide to Imaginary Airships, Corsets and Goggles, Mad Scientists, and Strange Literature. New York, NY: Abrams Image. The Steampunk Bible provides a more generalized insight into the Steampunk subculture, including a form of overview of the culture, the aesthetic nature of the group, and the potential futures of steampunk. Taddeo, Julie Anne and Cynthia J. Millers. 2014. Steaming into a Victorian Future: A Steampunk Anthology. Plymouth, UK:Rowman & Littlefield. This Steampunk Anthology provides valuable insight into the social and cultural significance of steampunk as a subculture, and how it interacts with and affects dominant culture. Higham, William. 2011. “What the Hell is Steampunk?” Huffpost, December 17.